Strong, sturdy and long lasting are just a couple of words you could use to describe our range of budget fashion rails. From the classic straight garment rail to circular stand display rails they are all made from high quality steel and made to last. 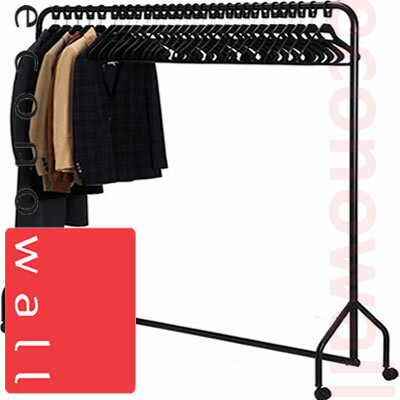 What clothing shop would be complete without a straight clothing rail on castors?, they are perfect for use as stockroom rails, replenishment rails or as use as a sale rail within your store. We have many to choose from and all of our rails are held in stock, so you know you can get speedy delivery too. 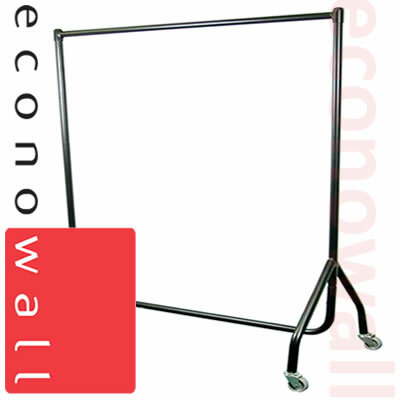 Our range of budget clothing rails are small enough items to allow us to deliver them by parcel carrier. Delivery for 1-3 boxes will be handled by parcel carrier, orders larger than 3 boxes will require a small pallet delivery. If you are ordering your Budget Garment Display Rails at the same time as larger items that require pallet delivery, then to save you money, we will include them on that delivery for you rather than charge you for a seperate delivery.